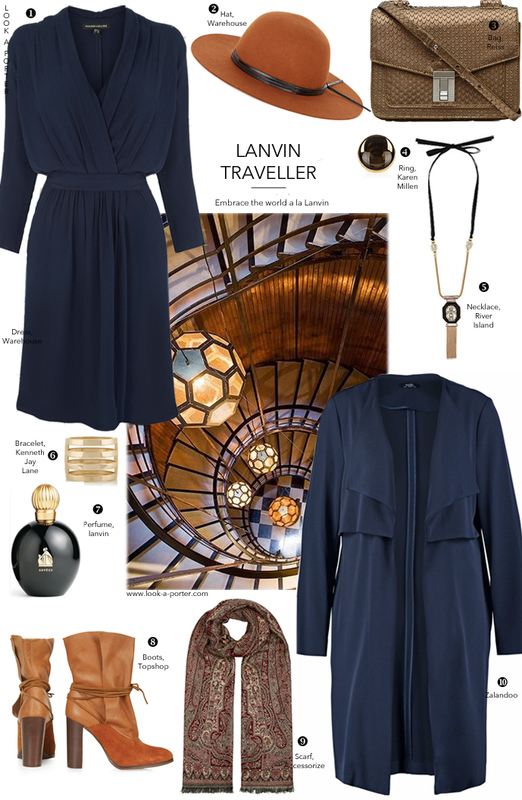 One dress - four different looks inspired by Fall/Winter 2015 collections. The difference is that everything will be styled with high street pieces and made to be wearable off the runway rather than in a midst of fashion hurricanes. Today it's all about Lanvin and Alber Elbaz's beautiful designs inspired by Casablanca, Morocco and exciting travels around the world. I kept the look relatively simple, considering it's all about skillful layering, richness and a touch of worldliness, but hopefully managed to capture the essence of the silhuettes, colours and textures. I couldn't help adding a perfume to the mix - it seemed like the easiest and most straightforward way to create the right atmosphere.